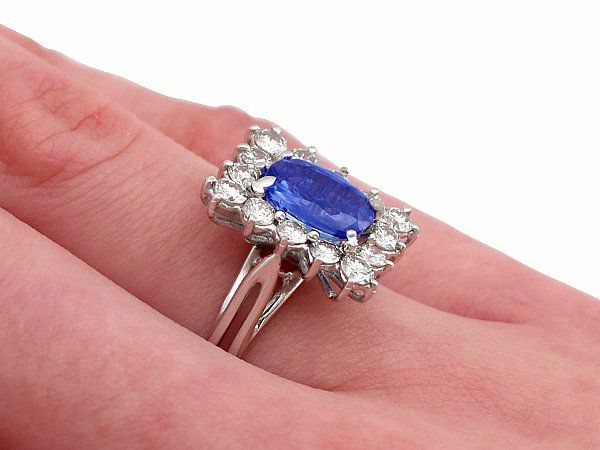 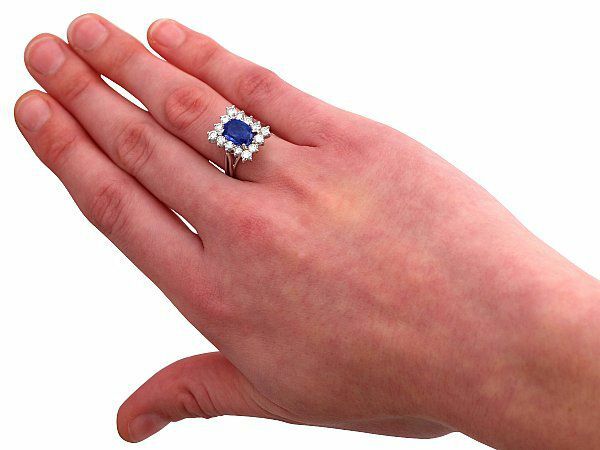 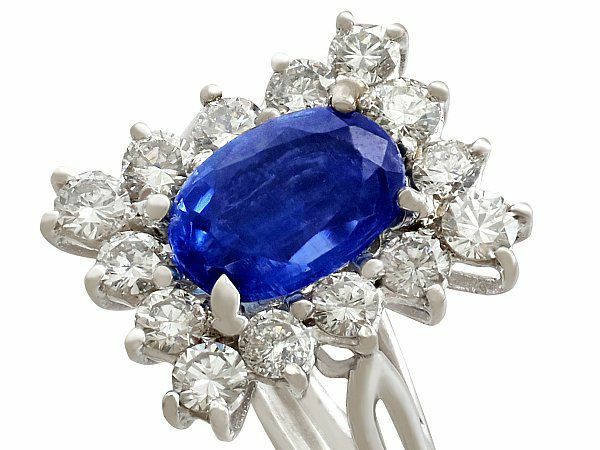 This impressive sapphire and diamond cluster ring has been crafted in 18 ct white gold. 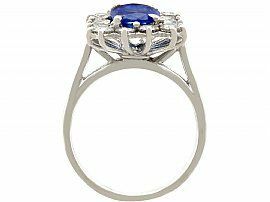 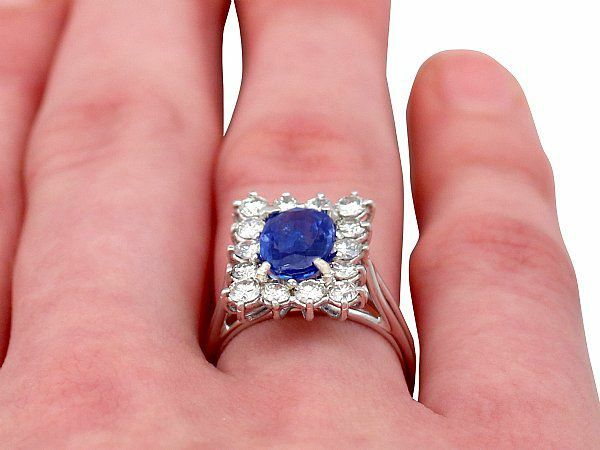 The white gold sapphire ring has a pierced decorated, rectangular boat style mount which displays a feature oval mixed cut 2.18 cts natural blue sapphire four claw set to the centre. 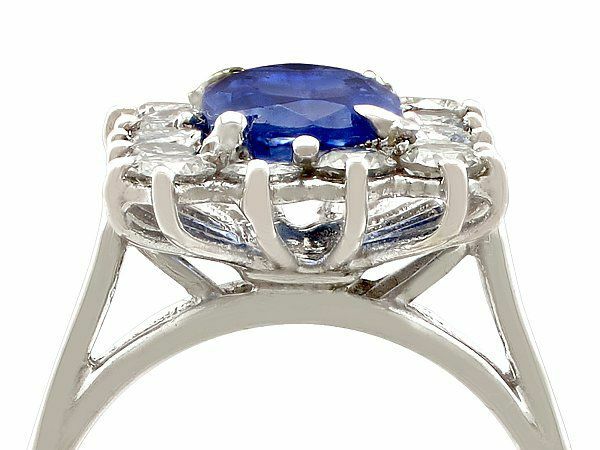 The feature sapphire is encircled by fourteen modern brilliant round cut diamonds. The elevated, unusual, open frame work, pierced decorated trifurcating ring shoulders integrate seamlessly with the plain hallmarked ring shank. The ring shank is clearly hallmarked to the interior with the 18 ct hallmark (750). 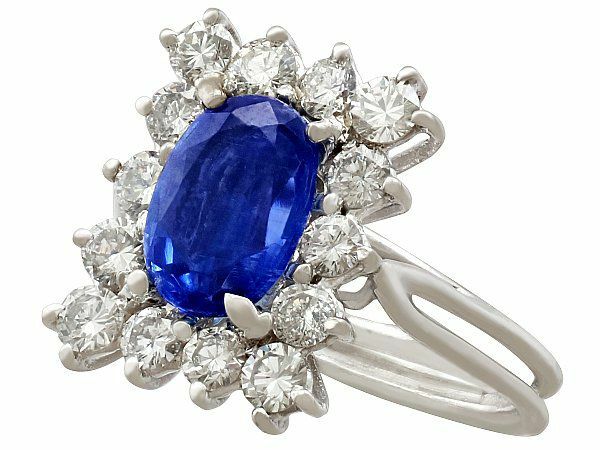 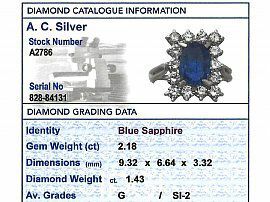 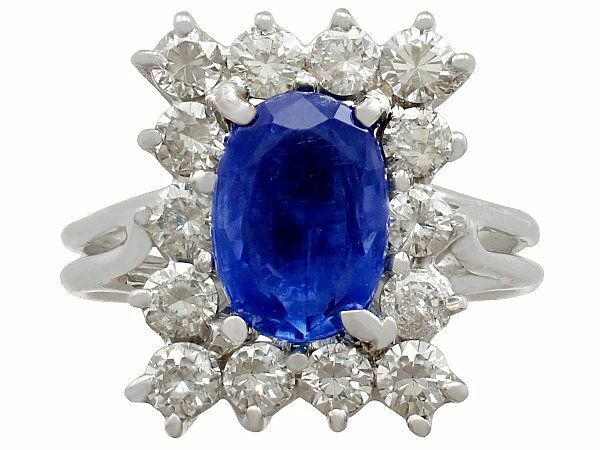 This white gold vintage sapphire ring is supplied with an independent diamond grading report card. 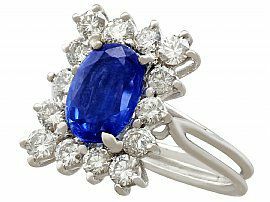 This vintage ring is fine quality, set with an impressive natural blue sapphire and very high colour graded, high clarity graded diamonds. 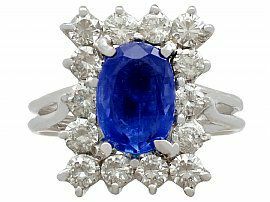 The white gold sapphire ring is a very good gauge of gold and is in excellent condition with a clear hallmark to the inner shank.